“I’m adamantly for raising the minimum wage," Quinn said. "It’s the best way to help thousands of people who do hard jobs, work hard, living from paycheck to paycheck." 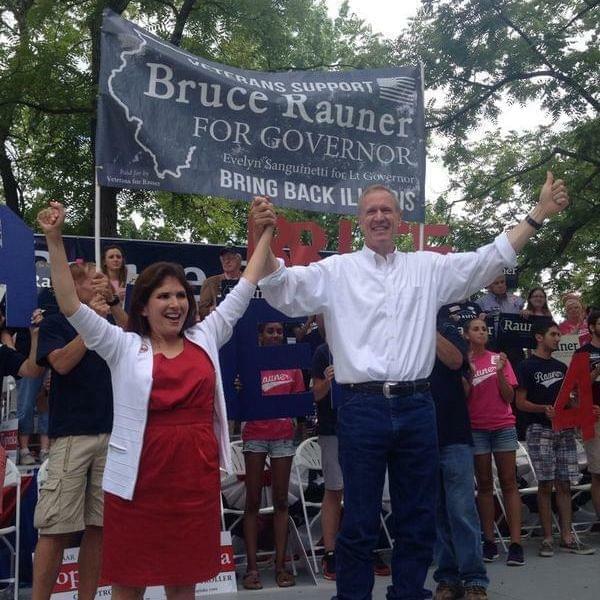 Rauner, on the other hand, is selling himself as a CEO-governor. The retired private-equity investor says he can inspire businesses to start investing in Illinois. “Nothing else will get fixed unless we are growing and creating jobs," Rauner said. "I’ll drive that; I’ve been a business-builder my whole career." But Rauner and Quinn didn't just tout their accomplishments and issue positions. They also went on the attack, trying to convince listeners that the other guy is all wrong for the job. Rauner says Quinn has failed on economic issues and done a poor job managing state government. “Unfortunately, under Gov. Quinn Illinois has been one of the worst-run states in America. We have rampant misspending of taxpayer money (and) massive waste in the system," Rauner said. Quinn, on the other hand, continues highlighting Rauner’s wealth — as when he criticized Rauner’s proposals to gradually reduce the income tax while simultaneously extending the sales tax to cover some services — like hiring a lawyer, travel agent, or trash hauler. “The folks who are millionaires and billionaires always want to shift the burden onto everyday people," Quinn said, "onto everyday, hard-working people who have to pay a tax on their garbage pickup. That’s not right." The debate was carried live on public radio and television stations across Illinois, and some of the questions were wonky and deep on policy. There’s a piece of advice given to politicians: if you don’t like the question you’re asked, don’t answer it. Instead, answer the question you wish you'd been asked. 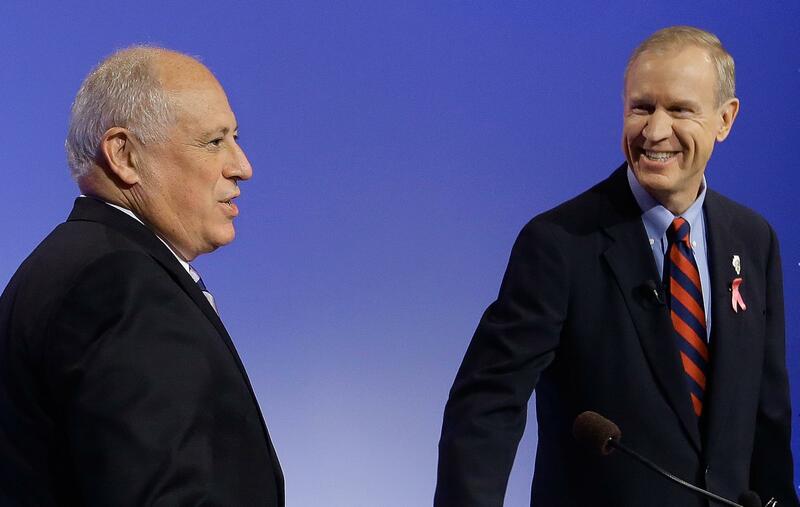 Both Quinn and Rauner seem to have heard that advice, like when Rauner was asked about global warming. “Do you believe that climate change is happening, and is man-made, and what is your take on the Obama administration’s plan to cut carbon, given that the state derives most of its electricity from coal?" a panelist asked. “I believe we need a broad-based portfolio of energy options in Illinois and in America," Rauner said. That’s an answer to a question — just not the one he was asked. Quinn did the same sort of thing on the issue of government-employee pensions. Some experts have suggested Illinois could more easily deal with the huge funding shortfall by just extending the number of years the state has to pay it off — that schedule is known to insiders as the pension “ramp." “But should the state reconsider the current pension ramp?" a panelist asked. “Well I'm complying with that right now, and I pay the proper amount every year, in order to be actuarially sound," Quinn said. Again, not the question he was asked. That said, there were substantive points made during the hourlong debate. Both Rauner and Quinn staked out positions against a school-funding overhaul passed by Senate Democrats this spring. It would shift state money from wealthier school districts to those with more impoverished students. “I do not favor reducing funding in a particular school district to its disadvantage, and so I think a much better way to go is what I’ve just proposed: increasing funding for all school districts," Quinn said. Rauner took on the issue of crowding in state prisons — which are at 150 percent of their rated capacity — talking about the incarceration of non-violent offenders. “We do a very poor job, relative to other states, for providing alternative routes to deal with non-violent offenders," Rauner said. The candidates are scheduled to appear in two additional televised debates, both in Chicago. But you’ll probably be seeing more of them than that. The men have raised tens of millions of dollars and are spending lavishly on nasty TV ads attacking each other. And that shows no sign of abating before Election Day on Nov. 4.